Have you experienced the inconvenience of a flat battery? The dreaded clicking sound as you turn the ignition of your car over is enough to ruin the start of anyone’s day. Having a battery charger on-hand in your garage will get you back on the road again and into work on time. 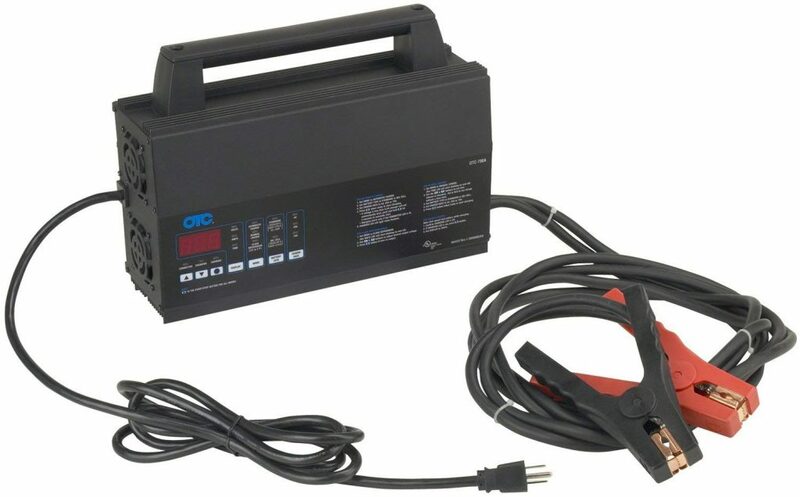 A high-powered battery charger is considered essential equipment for any home-based or commercial auto workshop, your powerless without one. It’s critical that you choose the right battery charger for your specific application. 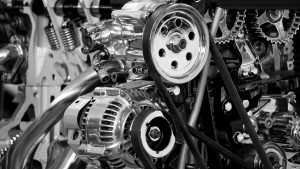 Commercial fleet managers have different equipment requirements than a hobbyist. It’s important to understand your exact needs before making a final purchase decision on the charger that’s right for you. 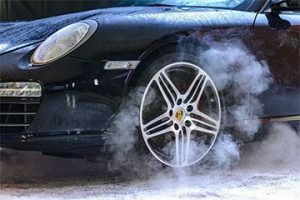 We decided to help you with your due diligence and assessed the best car battery chargers available. Read through our in-depth reviews of car battery chargers that you can rely on to deliver outstanding charging performance for any battery type. 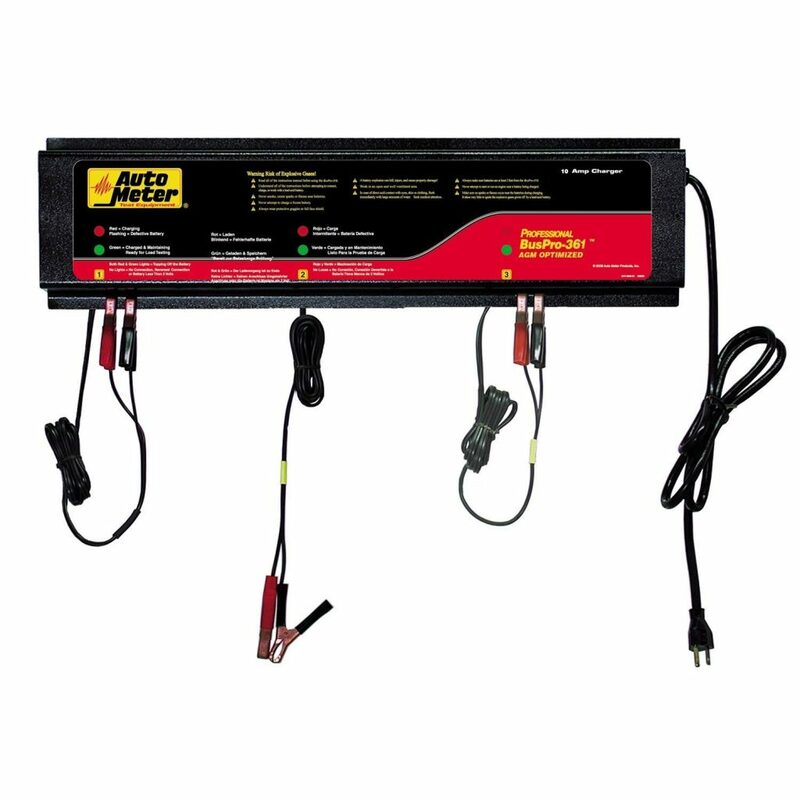 Amperage – Basic chargers generate 10 or 20-amp current for home garages, they make for an ideal charging system for people that want to be prepared for a flat battery if the situation calls for it. If you’re a motorsport enthusiast, then choose a charger with a power output up to 100-amps. 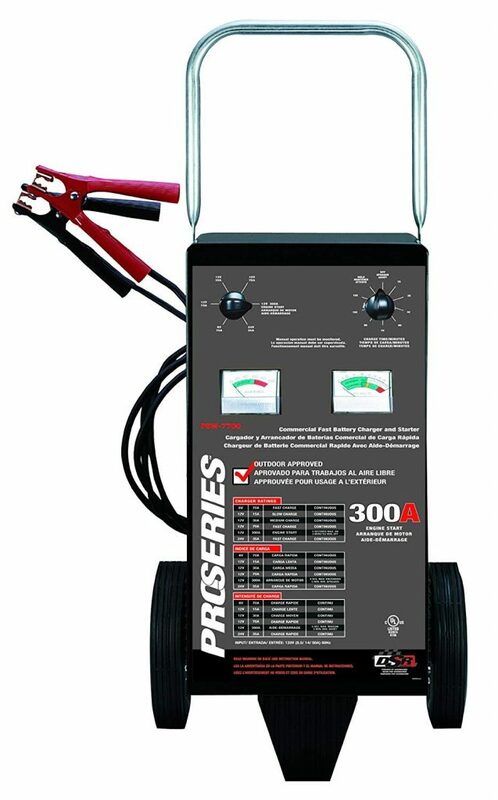 Commercial workshops require a stronger charger to assist with jump starting, and its recommended to select a charger with an output of up to 275-amps for this application. Voltage – Most modern smart chargers feature variable voltage settings to suit 6, 12, and 24-volt batteries. Some chargers can be scaled with the addition of extra chargers to increase the charge capacity. Battery diagnostics – A feature of smart battery chargers. 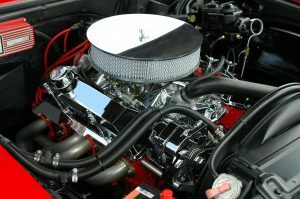 The charger can determine if the battery is connected correctly, the charge state of the cell, and the condition of the battery based on electrical feedback between the battery and the charging system. 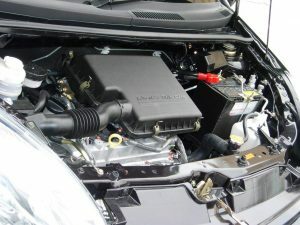 Trickle charge – Once the unit is finished charging, this technology keeps the battery topped off at maximum level as long as it remains connected to the unit. Safety features – Protective features of the charging system such as short-circuit protection. Maintenance mode – Maintains fully charged cells, but it will not recharge a drained battery. The Samlex Solar Series earns the top spot in the best car battery chargers review. This unit has the best balance of functionality, pricing, and customer service. The 12-volt battery charger from Samlex is the ideal battery charging solution for both home and commercial use. The charger fits right at home in the busiest workshops. With three charge channels that can take up to three separate battery banks, and DIP switch technology that gives you full control of the charge state. This three-stage charger automatically detects the charge level of the battery, matching the charge rate to suit the battery capacity. When fully charged, the cells receive a “trickle-charge” that keeps it powered at 100%, without damaging or overcharging the battery. This charger is lightweight and compact. Mount it off of the shop floor on a wall or mount it to a dolly for a portable charger you can wheel around the workshop. This smart charger comes with a 2-year limited warranty on parts, and Samlex are known for excellent customer service. If you have any problems with your unit, drop them an email, and their customer service department will sort out your query. 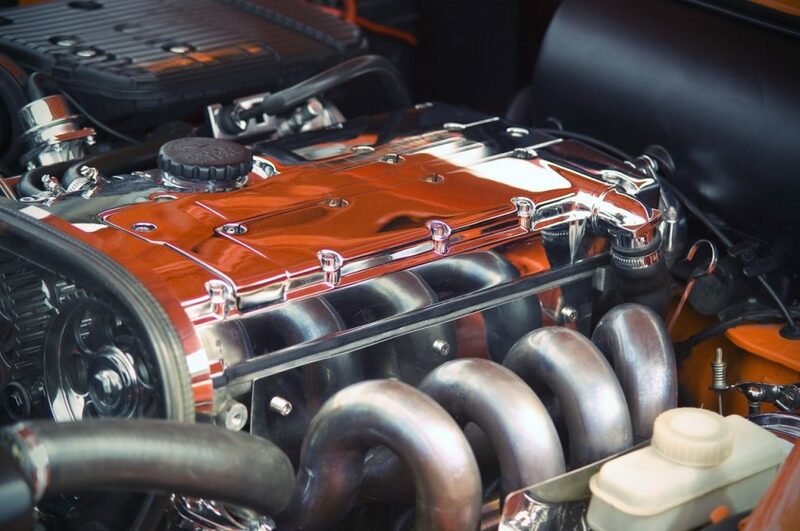 AutoMeter has a 60-year heritage I supplying the world with professional-grade auto-electrical products. The AGM optimized smart battery charger is another outstanding product from this excellent company. The smart functionality of the charger allows for reverse polarity detection and repair of sulfated batteries. The charger meets all safety standards regulated by the ISO 9000: TS 16949 Certified Quality System. The smart system has easy-to-monitor color-coded indicators that tell the operator when the battery is charging, when it’s fully charged, and when the unit is trickle charging. The advanced circuitry ensures that there are no overcharging or short circuits to the unit or the battery. You can scale the system by adding two additional chargers to the unit, increasing the power output and charging times. The unit may be a bit heavy, weighing 31-pounds, but it comes complete with mounting screws and brackets that allow you to install it out of the way on the workshop wall. This charger suits home-based workshops, as its 10-amp capacity may not be enough to sustain the needs of a commercial fleet maintenance program. The NOCO Genius GX3626 is ideal for those technicians that run a mobile workshop or find themselves on job sites outdoors. This unit won’t charge car batteries, but it’s handy for charging electric vehicles, shop lifts, or any other 36-volt battery system. This rugged, durable charger features a die-cast aluminum housing. The unit is waterproof, drop-proof, and resistant against environmental elements. The compact, lightweight design of this charger makes it easy to transport and set up. If you find yourself out in the country’s parks frequently, then this charger is the ideal piece of kit to take with you to ensure your battery always stays charged, no matter where you are. The smart operation of this charger means that it can automatically detect the size and type of battery connected to the unit, adjusting the charge rate to suit. 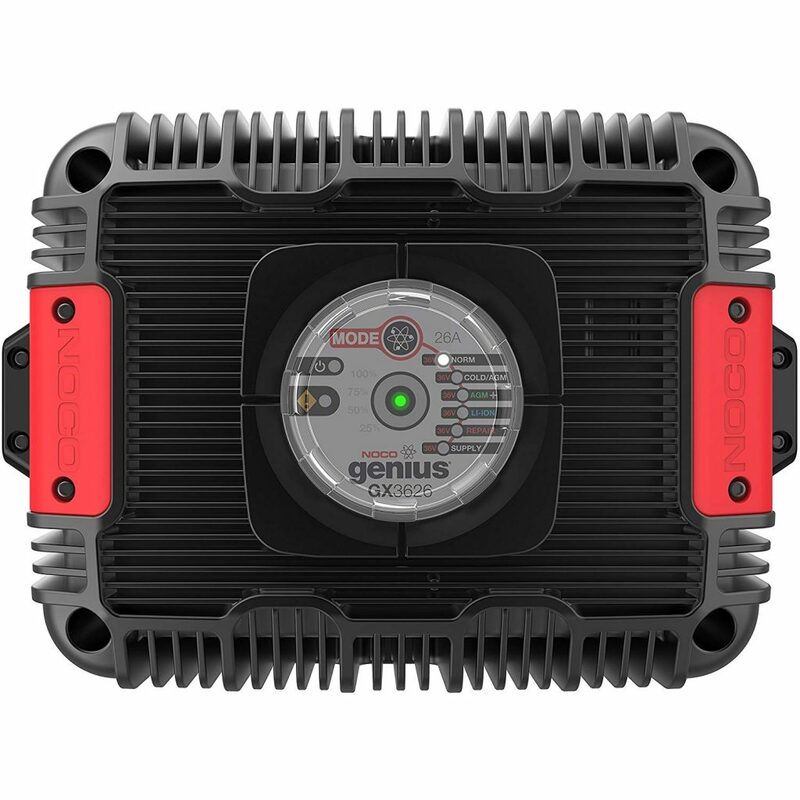 The Genius works with both traditional lead-acid and advanced lithium-ion batteries supporting a wide range of input voltages from 100-240VAC, 50-60Hz. The 700A is the charger of choice for technicians and mechanics. The unit plugs directly into the lift-jack power source, allowing you to transport it around the workshop easily. In case you do feel like mounting the unit, it comes complete with mounting bracket and screws as well. 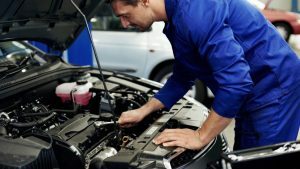 A mechanic or technician has numerous tasks to complete during the day and can’t be concerned about monitoring the state of a charging battery. The OTC unit offers “set-and-forget” function, which ensures that the battery charges to its maximum capacity, without overcharging. Technicians that flash-program electric motors will find the OTC 700A the ideal power source for any job. The unit provides a smooth, stable flow of DC power that’s critical for successful flash-programming. 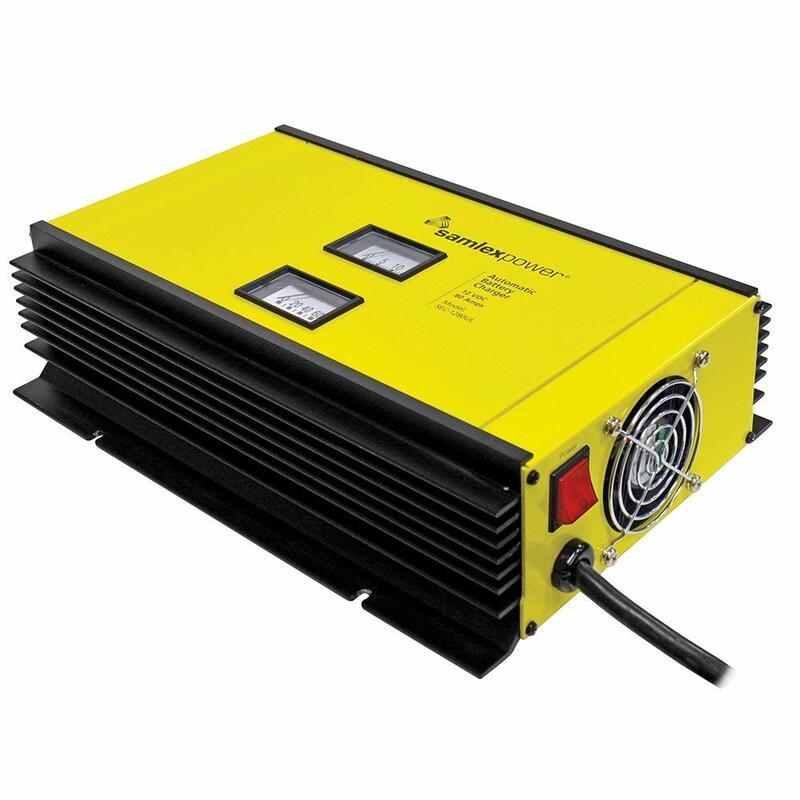 The charger offers charge rates of 70-amps, 20-amps, and 4-amps with an auto-select dual input range of 50/60 Hz and 110-120/220-240 VAC. The OTC suits home use as well as commercial fleet management. However, hobbyists may be able to find a charger from this review that has a cheaper price tag, with just as much functionality. Schumacher is the brand trusted by motorsport enthusiasts around the world. This powerful, rugged battery charger is compatible with 6, 12, and 24-volt batteries and features a 300-Amp jumpstart feature. The system comes with all of the advanced circuitry and protective elements that you would expect to find in any top-of-the-line smart charger. Built for heavy-duty use in the most demanding race situations, you can rely on this unit to deliver outstanding performance in your workshop as well. The only downfall with this charger is its size and weight. The unit weighs a bulky 48.5-pounds. Fortunately, it comes mounted to a built-in dolly with large plastic wheels and a support base that keeps the machine level. Wheel the charger around with the large handle and store it out of the way when not in use. This charger is ideal for race teams of performance workshops, but it’s probably not the best choice for a home garage. A battery charger is a necessary, but expensive, purchase. You need to be confident in your choice of a charger. Are you having trouble selecting the best car battery chargers from this review? Read through this buying guide for some tips and tricks to help you finalize your purchase decision. Have you ever been late for work because you forgot your lights on and your car won’t start? Having a battery charger in your home garage will save the day and get you to work on time. Choosing the best battery chargers for cars ensures that you never end up in a powerless situation. Workshop managers know the importance of a good battery charger. An intelligent battery charger and jumpstart unit is essential electrical equipment for any mechanic. A busy workshop has its technicians between jobs all day long. An automatic smart battery charger lets them charge batteries without the need to monitor the charging process. Features like smart charging help your technicians do more with their time, increasing your workshop productivity. 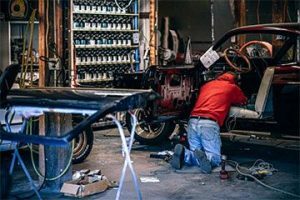 Get more out of your equipment and your employees by purchasing a battery charging unit for your workshop. Battery Size and Voltage – What application will the battery serve? A car, boat, or truck? Most passenger vehicles have 12-volt batteries, but some motorcycles and motorboats use 6-volt units instead. Make sure that your charger is capable of handling the right battery size and voltage. Battery Chemistry – What kind of battery do you have? 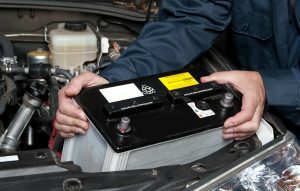 Common lead-acid battery types include Gel-cell, AGM, or deep cycle batteries. 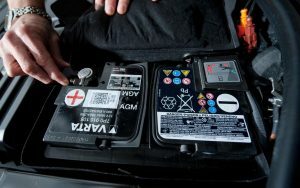 Not all chargers are equipped to have certain types of batteries, such as AGM, so make sure you have the right technology to suit your battery. Fully Automatic – Choose a charger that has smart functionality and detects a fully charged battery. Smart battery technology – This tech helps the battery detect the voltage of the battery, as well as any damaged cells. Remember to read through your user manual before operating your battery charger for the first time. Battery chargers are complex electrical instruments that require a safe operation to recommended guidelines. Always ensure that your electrical system, plugs, and breaker circuits can handle the electrical load of the charging unit. For those units that require installation as a fixed system, consider hiring a professional electrician to complete the job. Incorrect installation or fitment may void your warranty, so get a professional to do the installation. After reading through the reviews on battery chargers, you’ll understand the difference between the different charger types. Select the charger that best suits your specific application and be aware that some chargers only suit specific types of battery’s, like lithium-ion. Do you need a heavy-duty charger that will be in constant use? Do you need a jump starter as well as a charger? Will you be using the unit indoors or outdoors? Do you require a mobile unit? 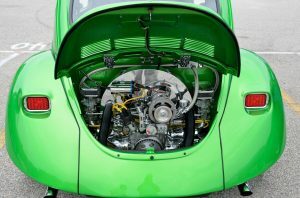 All of these questions are critical in determining the right battery charging system for your application. Before you make your final purchase decision, it’s important to take into account a few other features of your new battery charger. Does the unit come with a guarantee or warranty? How heavy is the charger and how will that affect shipping costs? Does the seller have a return policy for defective goods? Where are the nearest service centers for your charger? Make sure you purchase your charger from a reputable dealer with excellent customer service ratings. Our top choice for the best car battery charger system is the Samlex Solar Series 12-volt car battery charger. The system offers the best blend of functionality, price, and customer service. The Solar Series is the ideal choice for either a home-garage or a commercial workshop. However, everyone’s needs are different, use these car battery charger reviews to help you make an informed purchase decision on the battery charging system that’s right for you. This review has a charging system for any application, from the amateur backyard mechanic to the most demanding race team workshops. Check out this guide on the best battery chargers. We break down the pros and cons of the 5 top-rated car battery chargers available online.